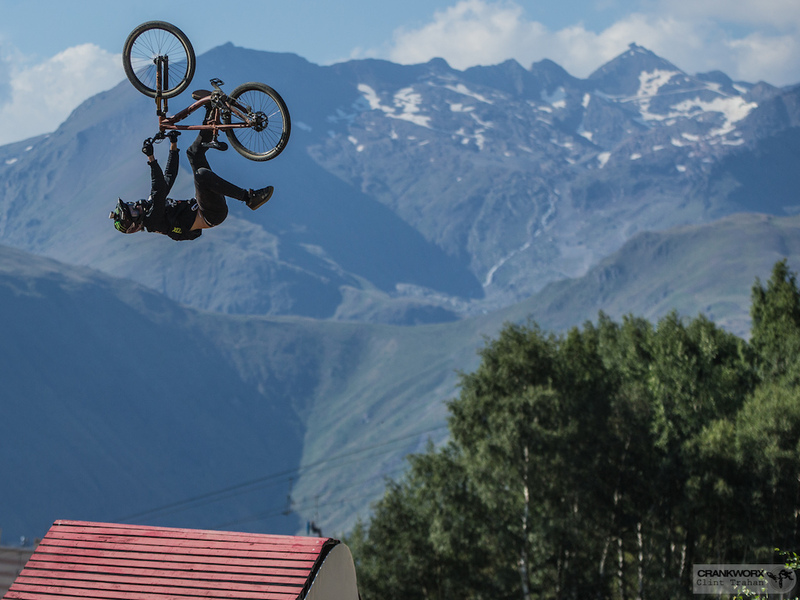 After the trailer for Sherpas’ Ashes to Agassiz on Tuesday, let’s keep the momentum going and look at Crankworx, where a new hero is emerging. Canadian star Brett Rheeder has only to win the Slopestyle competition in Whistler to become Crankworx’s first Triple Crown champion. His win in Rotorua, where the contest made its debut at the end of March this year, as well as storming his runs in Les 2 Alpes meant that only one man could catch him – Brandon Semenuk, the favourite and good friend of Rheeder’s. One mistake, though, led to Rheeder winning and one step closer to history. What does this mean? Well, Semenuk has topped the podium for Slopestyle in Whistler 3 out of the last 4 years, not placing in 2012 due to a previous injury. We all know he’s a heavy hitter, but those facts speak for themselves. Rheeder, meanwhile, is in a good stride with his competition year… (Check out about a minute in for his Rotorua winning run. One thing is for sure: we are in for a show in August. The Red Bull Joyride takes place Saturday, August 15th.